This has taken forever to get up and I know it's only one sleep until Christmas but... how adorable are these bows (they also come in handy all the time)? 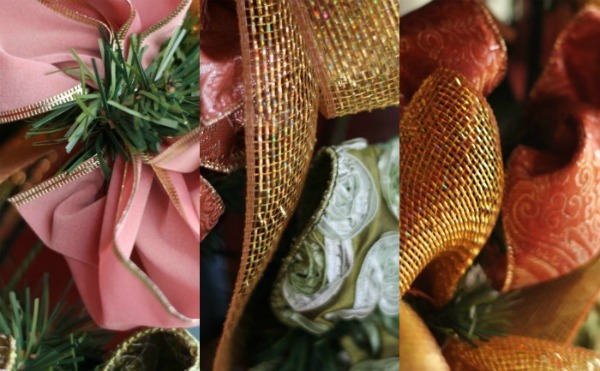 The DIY process is very simple and the finished product can be used as a hair accessory, Christmas ornament, part of a gift, or you can string them up in your house for a lovely decoration! - Several spools of ribbon with shaping wire in them. 1. 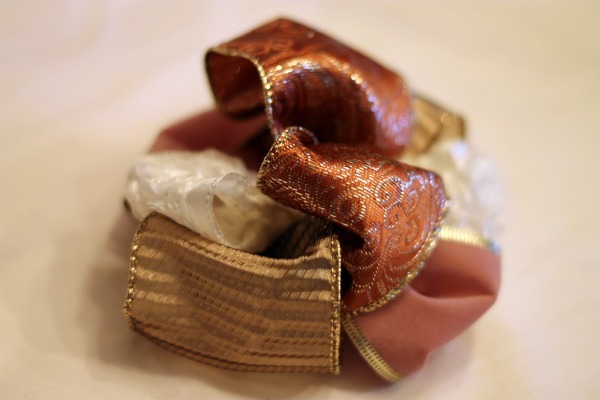 Fold a piece of ribbon in a bow shape and secure with wire. 2. 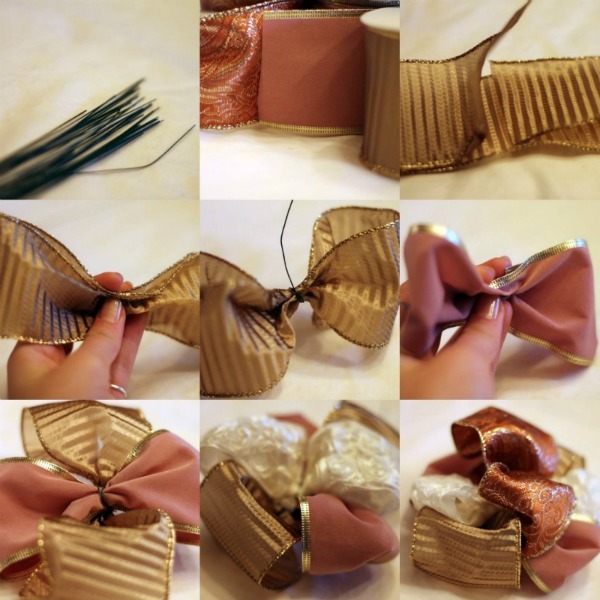 Do the same to a contrasting piece of ribbon and wrap on top of the other piece. 3. Repeat again for two more pieces of ribbon in different textures and wrap the piece of wire around until you reach the end. Fluff up the ribbon to hide the florist's wire. 4. You can now put a hook on the back to make an ornament, tie one to a wreath, or secure to a headband! Now go forth and be merry! I will be absent for a while due to the holidays but I have some festive outfit posts scheduled for the next few days. I hope you all have (or are having) a truly magical Christmas! That is so cute! Have a wonderful holiday! Adorable! and so simple. Happy holidays! so cute DIY, thanks for sharing!